With the liquidation of Carillion many contractors that supplied the countries 2nd largest construction company will be looking to understand what help they can access as a result of the money that they are owed by this construction giant. The good news is that many companies have pledged support. Some of the major banks have offered up support funds, many alternative finance companies have promoted their ability to support those affected, as have marketing companies to support those needing to find replacement customers. 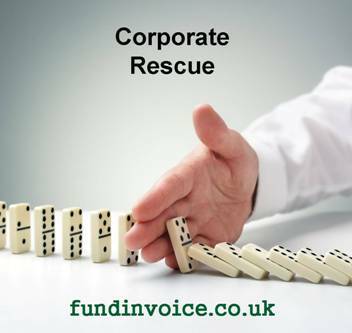 If all else fails, there are turnaround specialist ready to help you rescue your business or consider your options. The construction company Carillion PLC, who build roads and railways and provide services to schools, hospitals and prisons went into liquidation on Monday 15th January 2018. Liquidation is a process where a business, that is usually insolvent, and hence cannot pay its creditors, has its operations brought to an end and its assets divided amongst its creditors and shareholders. The process is controlled by a firm of insolvency practitioners, in the case of Carillion PwC are apparently handling the liquidation, according to the BBC. This has left their 20,000 staff and numerous sub contractors wondering, what happens now? Well according to the BBC, on Monday the Government said that they would step in and pay it's employees and small businesses that were working on Carillion's public contracts, in order to ensure continuity of public services. How long this will continue for, is not clear at present. However, no such support is currently being promised to the large number of small businesses that provided services in respect of Carillion's private contracts. The FSB apparently raised concerns back in July last year about the extended credit terms, of up to 120 days, that small business suppliers were already waiting to receive payments. So what can small companies that supply Carillion do? Ensure that your claim for any unpaid debts is lodged with the liquidators - although there may not be a dividend paid to all creditors, you may also be able to claim back any VAT charged on a bad debt. If you have a “retention of title clause” in your contract with Carillion you may be able to recover goods which you have supplied but have not yet been paid for. If you believe this to be the case, you should make the liquidators aware immediately of your claim and provide proof of ownership. You should agree with the liquidators how to handle your claim. Check with the liquidators to confirm the situation regarding payment for ongoing work. You may be able to get advances against these payments from lenders. If the situation has created financial problems for your company, or if you need marketing help to find new replacement customers, call 03330 113622 and speak to us about either raising funding against other outstanding debts - to assist with your cash flow, or to discuss speaking to turnaround specialists that may be able to help you rescue your company from the impact of the collapse of Carillion. Contact details for Carillion's liquidators PwC.